A musician plays outdoors for a crowd. The King of Prussia District is hosting a free, lunchtime concert series this June. 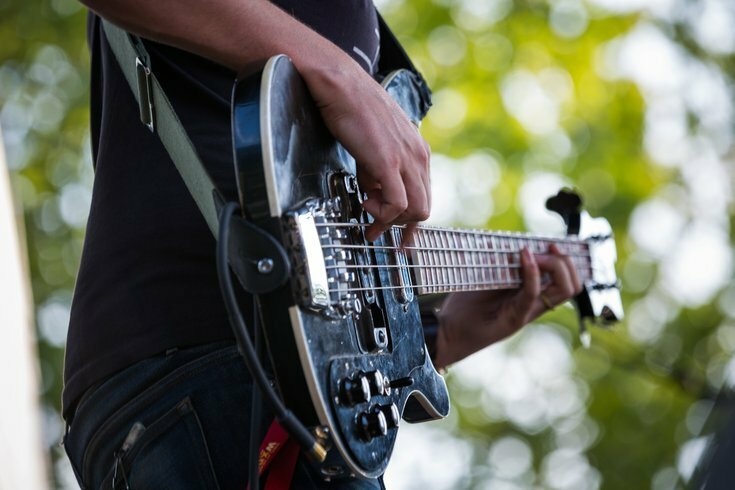 On Thursdays, those who work and live in the area are invited to spend time outdoors, listening to live music from local musicians. Pack a picnic or bagged lunch for the performance, or enjoy free samples from area restaurants. On June 7, folk-pop artist Cubbage will play and both Halal Guys and Paladar Latin Kitchen & Rum Bar will provide bites. The lunchtime concerts will take place from 11:30 a.m. through 1 p.m.
Good excuse to skip the sad desk salad, right?